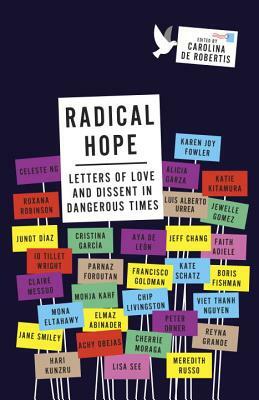 Including letters by Junot Díaz, Alicia Garza, Roxana Robinson, Lisa See, Jewelle Gomez, Hari Kunzru, Faith Adiele, Parnaz Foroutan, Chip Livingston, Mohja Kahf, Achy Obejas, Viet Thanh Nguyen, Cherríe Moraga, Kate Schatz, Boris Fishman, Karen Joy Fowler, Elmaz Abinader, Aya de León, Jane Smiley, Luis Alberto Urrea, Mona Eltahawy, Jeff Chang, Claire Messud, Meredith Russo, Reyna Grande, Katie Kitamura, iO Tillett Wright, Francisco Goldman, Celeste Ng, Peter Orner, and Cristina García. Carolina De Robertis is the author of the novels The Gods of Tango, Perla, and The Invisible Mountain. A long-time activist, De Robertis spent ten years in the non-profit sector before publishing her first book, and during that time she led projects around issues including women's rights, immigrant rights, and addressing sexual violence. She teaches creative writing at San Francisco State University, and lives in Oakland, California with her wife and two children.